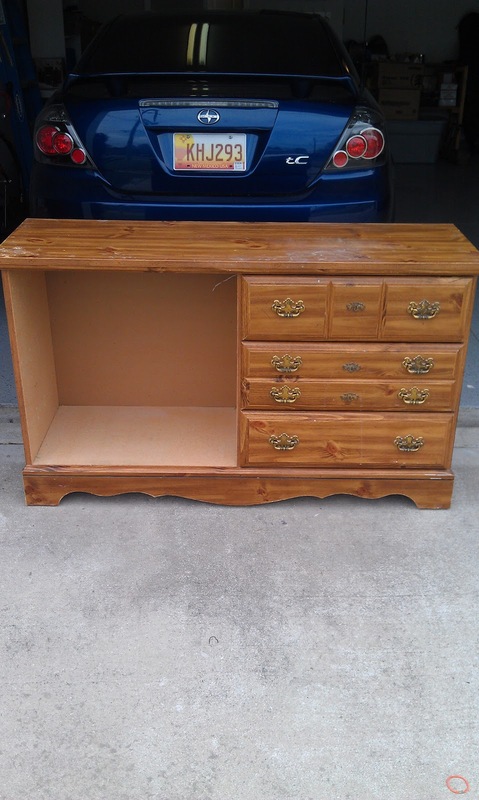 JMC Creations: Someone's trash! My treasure! 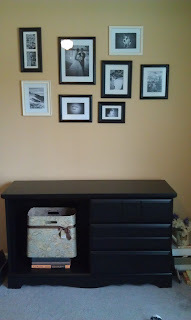 I finally have a new post! This is something that I am really excited about sharing with you. 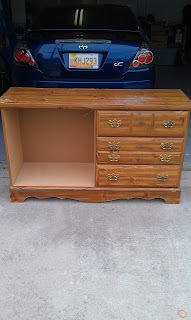 I went into a thrift store about 2 months ago just to look around and I found this piece of crap dresser! 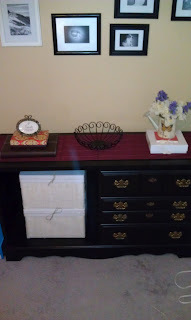 They actually labeled the tag as "3 drawer dresser with side storage"! Can you believe that? I thought it was hilarious, but at least they didn't just toss it because I decided I would make something beautiful with it! 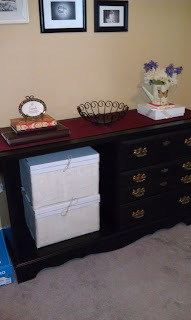 I needed some extra hideaway storage in my craft room, which the drawers would be used for! I knew I could figure out something for the "side storage". First I bought some satin black paint from Home Depot. And then painted the dresser. The part with the basket took like 3 coats because it was the exposed mdf that would usually be hidden by drawers. After those coats it looked great! I love the finish of the satin. Although, it really needs a coat of poly or something because as soon as I set something on it, it chipped! I suppose that has something to do with the fact that I didn't sand it or prime it! 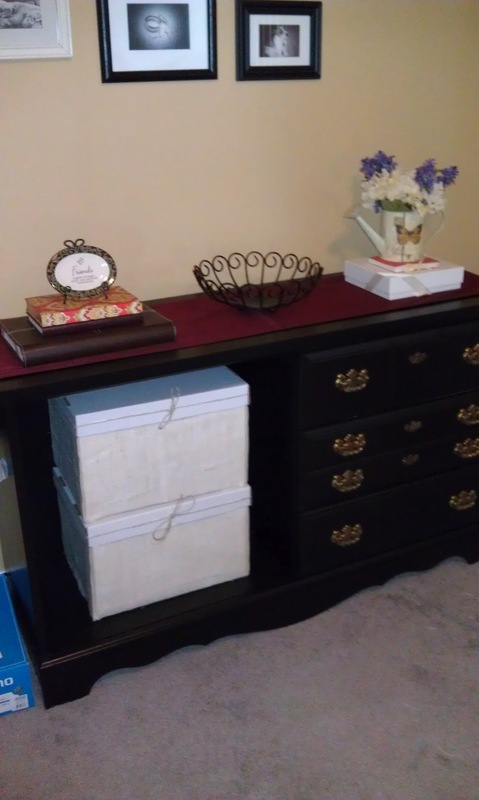 It is just a dresser to give me storage until something better comes along. Oh well, I know for next time! I plan to put a clear coat on though. 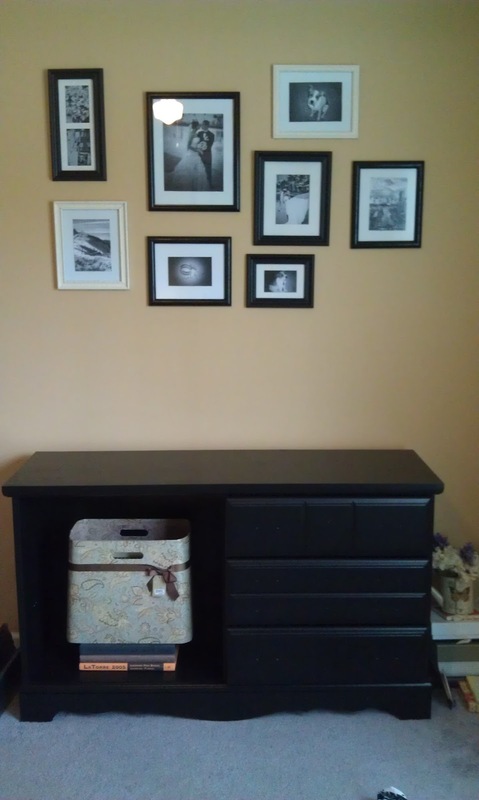 Next I wanted baskets but big ones are just not in my budget...well I guess they could be! 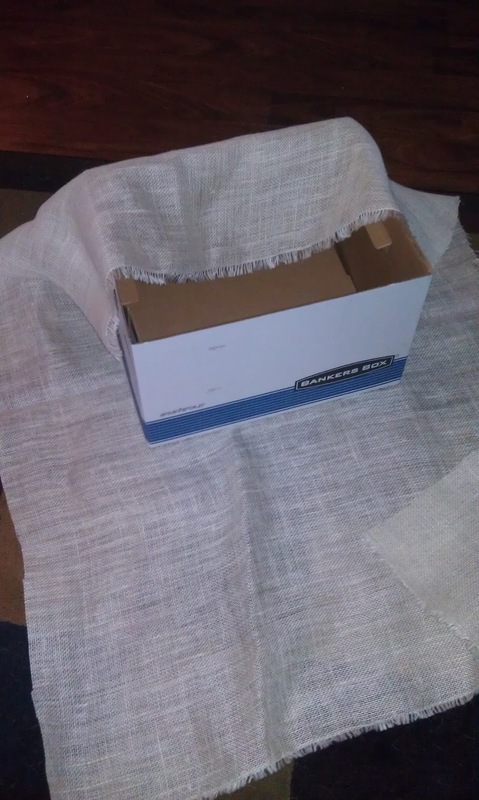 So instead I bought a pack of 3 bankers boxes for 9 bucks at Wally-world and got some burlap from Hobby Lobby. I covered the boxes in white paper and then hot glued the burlap to the boxes. Ta-Da! Cute boxes that can actually hold quite a bit of stuff! They aren't full and now I have room to grow if I need. I only have that red table runner on there until I clear coat it. I don't know if I like the original hardware but that is another expense I need to save a little for. We will see if it changes. It might grow on me. The finished project looks great though! 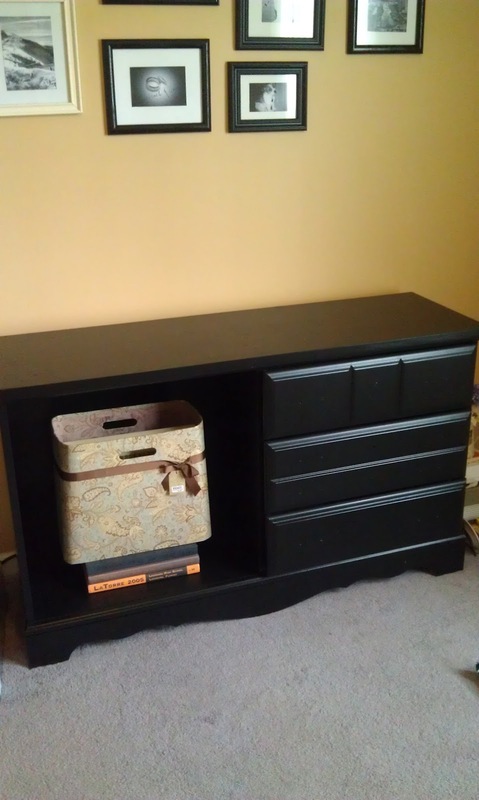 I love the "side storage" I might even put shelves in it one day! There are other things I would like to tackle first though!